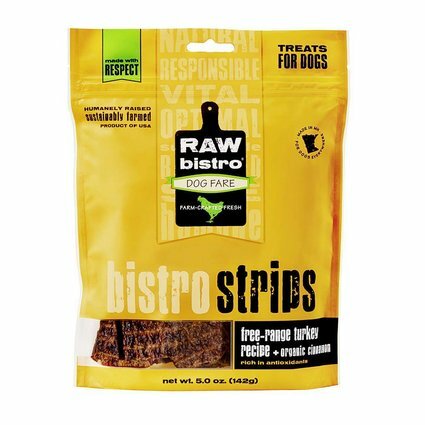 Bistro Strips are grass-fed beef, free-range turkey or free-range chicken healthful and fetchingly tasty treats for dogs of all ages and are easily broken into appropriate size pieces for dogs of all sizes. Great for training or anytime treating. Your dog is sure to love them! Raw Bistro’s Bistro Strips are crunchy, jerky style treats, made from human-grade ingredients and dehydrated at low temperatures to preserve vital nutrients. These treats pair free range proteins organic flaxseed, rich in the essential Omega-3 fatty acid ALA – AND – we’ve even added a hint of antioxidants. 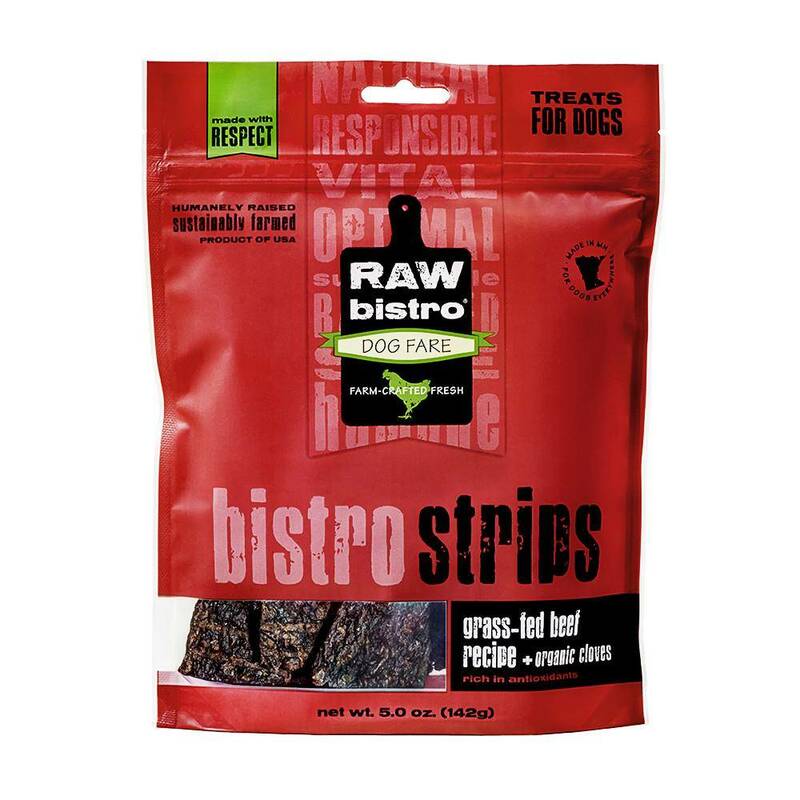 Ingredients: Beef (includes Heart & Tongue), Beef Kidney, Organic Flaxseed, Organic Cloves. 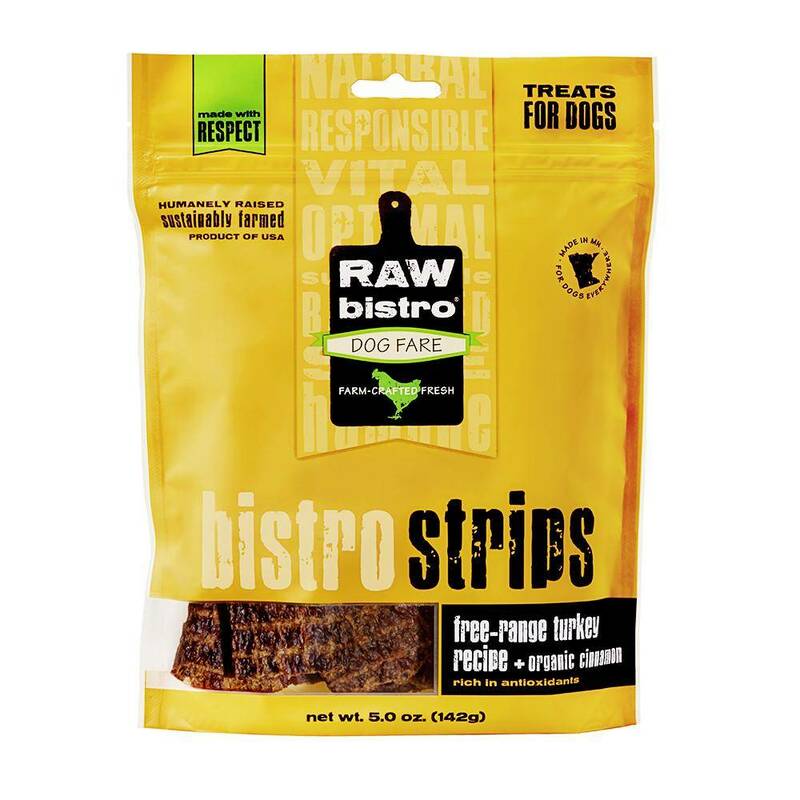 Ingredients: Ground Chicken (includes Heart & Tongue), Chicken Heart, Chicken Liver, Organic Flaxseed, Organic Ginger. Ingredients: Turkey, Turkey Heart, Organic Flaxseed, Organic Cinnamon.